Cardiff City say comments made by manager Neil Warnock about Brexit “do not reflect the political position of the club”. 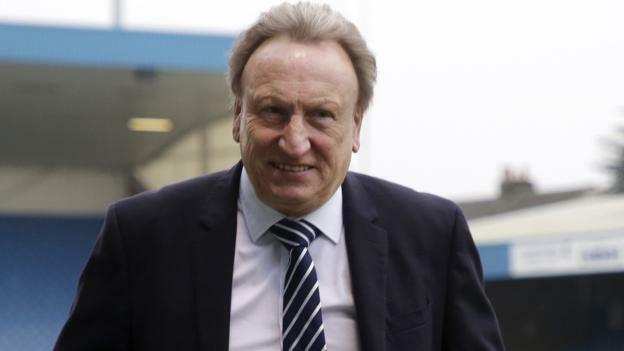 Warnock said after Saturday’s Premier League draw with Huddersfield that he “could not wait” for the United Kingdom to leave the European Union. He had been asked what impact Brexit could have on his club’s transfer dealings in the January window. A Cardiff statement said Warnock was giving “his personal political stance”. Warnock had said at Cardiff City Stadium: “I don’t know why politicians don’t do what the country wanted, if I’m honest. “They had a referendum and now we see different politicians and everyone else trying to put their foot in it. “Why did we have a referendum in the first place? “I can’t wait to get out of it, if I’m honest. I think we’ll be far better out of the thing – in every aspect, football-wise as well, absolutely.